The first piece of the puzzle is creating a technology stack that allows you to see end-to-end attribution from marketing's first touch to a closed-won opportunity. At New Breed, we help our customers achieve this by using HubSpot, Salesforce and InsightSquared. This allows you to base all your future decisions on data and historical performance, as well as track progress towards your current goals in real time. Now that you have closed-loop reporting in place, you can begin to create a more granular system of how these prospects are being tracked through the funnel to see exactly where leads are getting stuck. This way you can focus your efforts on the areas that will drive the most value. If you want to reach an even more granular level of reporting, you can use systems such as the SiriusDecisions Demand Waterfall which introduces stages such as 'sales accepted lead' and other statuses designed to track outbound efforts. To do this, carefully document the entry and exit criteria for each stage so it’s crystal clear when someone should be moved forward, recycled or disqualified. As well as align your marketing and sales systems and employee training to account for this. Going back to what Volpe and Roberge did at HubSpot that was so innovative was that they segmented MQL data by type (demo, contact sales, content download, etc.) and then broke down the MQL-to-customer rate and average deal size for each. This way, the MQL commit wasn't just a number of leads, but actually got marketing and sales speaking the same language, dollars and cents. Since it's likely easier for marketing to generate white paper downloads than it is demo requests or trials, converting this value into a dollar figure means that no matter what the MQL type, sales is assured the coverage and volume they need to hit their quotas. Bonus tip: If you're implementing this system in HubSpot, I recommend creating not just an MQL Type content property, but also a date stamp assigned in a workflow for each property so that when you analyze the data you'll be able to easily track these efforts over time. So far we've talked about activities that focus on sales feeling confident in the quality and expectations of leads that marketing is generating. It's just as important that marketing feels confident that sales will be held accountable to appropriately follow up with these hard-won leads. An MQL workflow does just this. 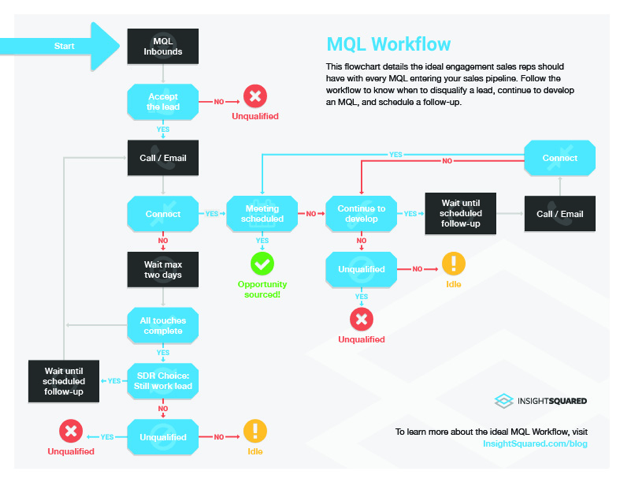 If you want some extra help doing this, we've written about how to setup an MQL workflow in HubSpot, here. With all this in place, document these steps in a service-level agreement (SLA) that addresses both marketing’s responsibility to deliver qualified leads and sale’s ability to close them. This document becomes the cornerstone of the agreement between your teams to deliver on their individual goals and work together so that the company meets its’ goals. It's important to bring your team together frequently to review goals, discuss challenges and continue to refine the machine that’s being built. At the startup stage, this meeting can be interactive and foster dialogue and discussion from the group. As your marketing and sales teams grow, this meeting will become a more fast-paced, high-level overview of progress towards goals, and the SLA will ensure ongoing alignment and transparency. Finally, on a monthly basis, highlight the percent of revenue that was sourced or influenced by marketing. If there’s one number that will most clearly illustrate to your sales team the value that marketing is bringing to the table, this is it. 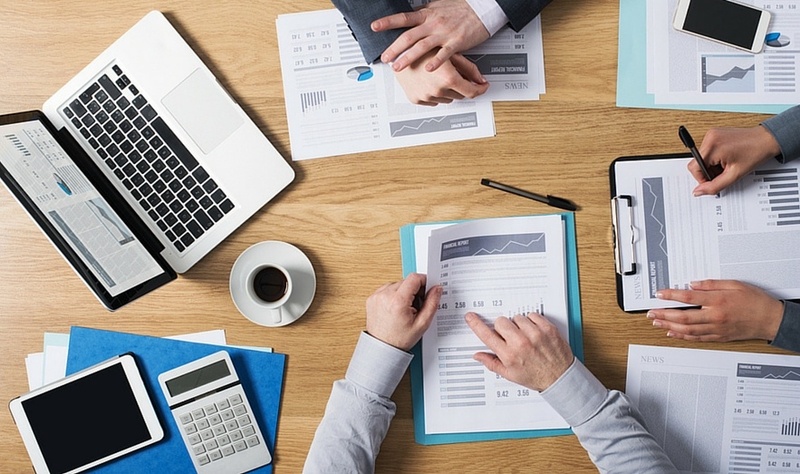 How Can You Align Sales and Marketing at your Company? This may sound like a lot of work, and it is, but it's also the foundation of your future growth. However, an easier first step may be to start creating a service-level agreement for your marketing and sales team to being operating within. Creating this system and fostering a data-driven marketing and sales culture from an early stage will pay dividends down the road as you’re able to make more educated decisions and grow faster. Take a moment to answer this: What distinguishes your product from similar products in the market?